You are here: Home / Carnivore Diet / What is the Carnivore Diet? The Carnivore Diet is a way of eating that focuses on eating meat and animal products. It is also known as a carnivorous diet or zero carb diet. It is essentially a no-carb diet. You do not eat any vegetables or any other type of carb while you are on this diet. It is purely meat and other animal products. Some people may be loathe to call this a diet as they consider this a natural way of eating. There are people who have been successfully following this diet for 20 years or more so for them it is a way of life. There are others that see it as a short term thing to heal the body and/or lose weight but many of those that do this, see the amazing changes in their health and continue to stay on the diet long term. Those amazing changes are often related to improvements in weight loss, gut health and autoimmune diseases, amongst other things. What Can You Eat on a Carnivore Diet? What is important with this diet is the intake of fat. 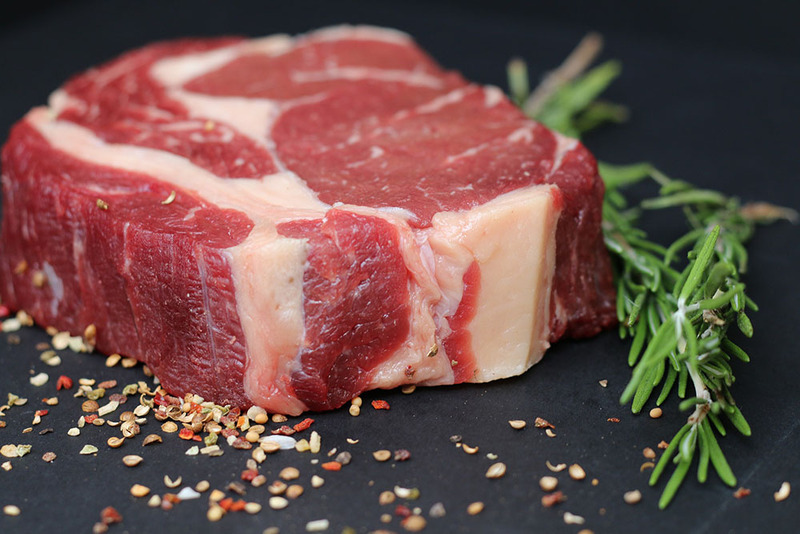 Eating lean meat is not ideal and taking in adequate amounts of fat is essential to not only keep you satiated but also since you are not eating carbs, it is needed as an energy source. So stick with fatty meat cuts and fatty fish. To add even more fat to your diet you can eat fatty bone broth and cook up fat offcuts, chicken skin and pork crackling. If you are on the keto diet, then you have probably already heard of intermittent fasting. This is when someone will fast for a certain period of time during the day before eating. So, for example, you might eat your last meal at 7pm at night and then not eat until the next day at 1pm. This is an 18 hour fast. You might then eat again at 7pm and the cycle continues. With the Carnivore Diet there really isn’t any general ruling on using intermittent fasting. Many find that meat meals are so satiating that they don’t need to eat three meals a day. Many eat two or even one and some can go a couple of days after a particularly large meat based meal. How Much Meat Can You Eat on the Carnivore Diet? There is no set amount of food you can eat on this diet nor is there a requirement to count calories or macros. You simply eat until you are full. It is important however, that you have enough fat in the meal so that you feel fully satiated. This will ensure that you can go longer between meals. This is a contentious issue. Many feel that fiber is absolutely vital and without it we would all be plugged up and die from rotting meat in our guts. Interestingly enough those who go on the Carnivore Diet report that their gut action is the best it has been in years and their bowel movements are easier. Some think they are constipated because they haven’t pooped for a couple of days but this is because the meat is so well digested that many don’t need to poop as often. There are also studies that suggest that eating fiber is actually bad for us…go figure! Thanks Varinia. 🙂 Still have lots of information to add.